Working together for better kidney care in the Puget Sound region. The Northwest Kidney Care Alliance is your local End-Stage Renal Disease Seamless Care Organization—ESCO for short—in the Puget Sound region. We’re a group of health care organizations, doctors and other health care professionals who have come together with one goal: achieve better health and better health care, at lower costs, for people who have serious kidney problems. By collaborating and sharing information, we provide better-coordinated care for our patients. Discover why Medicare has created the ESCO program and see which organizations and individuals are involved in ours. We've identified the best ways we can actively improve kidney care. Learn about the initiatives we offer patients involved in our ESCO. People on dialysis at six Northwest Kidney Centers facilities are being treated in the Northwest Kidney Care Alliance model. Patients throughout Northwest Kidney Centers eventually will benefit from practices piloted in the ESCO. The Northwest Kidney Care Alliance aims to achieve better health, better health care and lower costs through coordinated care interventions. Launched in January 2017, it is an End-Stage Renal Disease Seamless Care Organization (ESCO) that participates in Medicare’s Comprehensive End-Stage Renal Disease Care Model (CEC). Medicare, the federal health insurance program, pays for kidney care by dialysis providers, doctors, pharmacies and hospitals. Medicare created the ESCO structure and the CEC model to encourage innovation to improve care and reduce costs. The treatment is the same at the six clinics, no matter what kind of insurance a patient has. Many of the ESCO’s innovative practices are also in use at Northwest Kidney Centers’ other facilities. The bottom line: we’re working together to coordinate your care. And if the Northwest Kidney Care Alliance, our ESCO, improves patient health at a lower cost, Medicare will share the savings. That shared savings will allow us to continue to develop programs to improve care. The Northwest Kidney Care Alliance is governed by a Washington nonprofit corporation ESCO Board. Board members represent collaborating organizations that oversee the accomplishment of the ESCO mission. All participants are owner participants. There are no joint ventures between participants and there are no joint ventures of participants with Northwest Kidney Care Alliance. Our care managers, vascular surgeons and nephrologists are focused on educating patients about getting a fistula for dialysis access instead of a catheter, which is more susceptible to infection. Our aim is to have 3 percent or fewer of our patients using catheters. We help people prepare for dialysis and make sure they begin treatments at the optimal time. 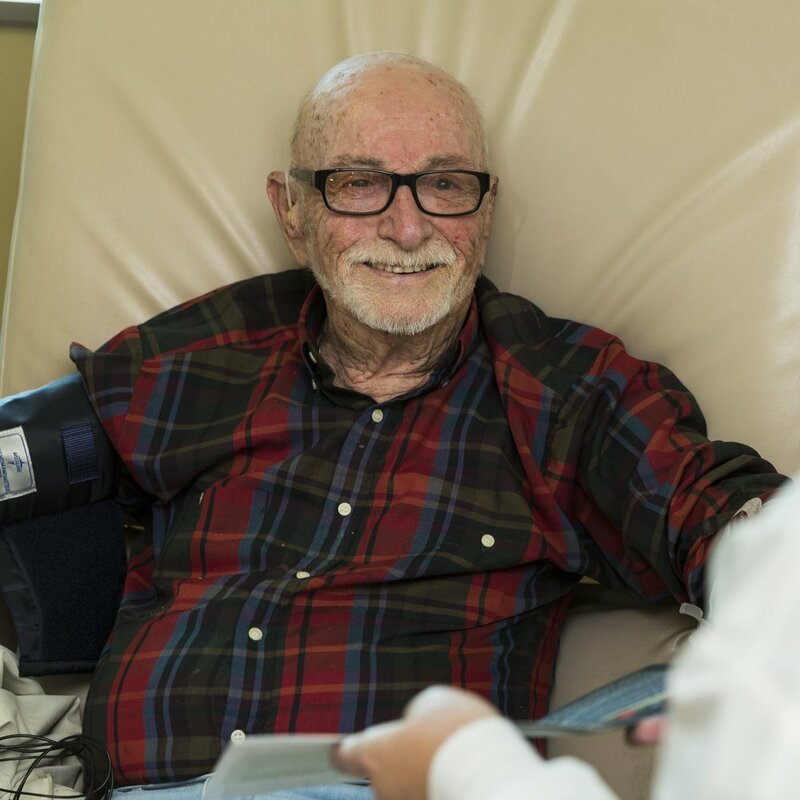 Our aim is to have the majority of patients attend Choices, Northwest Kidney Centers’ introductory class about vascular access and treatment options–including home dialysis and transplant. We’ve created programs and protocols to prevent infections among kidney patients. In addition, we're working to ensure 100 percent of staff and patients are vaccinated against influenza. We work with patients seeking a transplant to keep them healthy while on dialysis. We guide them through their transplant journey, from initial approval to post-operative care. Our goal is to achieve double the national transplant rate. Home dialysis offers patients more freedom, greater flexibility and independence. Many patients feel the best and enjoy optimal quality of life on home dialysis. We aim to have 20 percent or more of our patients choosing to dialyze at home. Our care managers, all skilled nurses, work with patients to develop individual care plans. If the patient is hospitalized or something else changes, the care manager informs other team members–including doctors, hospitals and skilled nursing facilities–to ensure everyone’s on the same page. We want to know about each hospital visit so we can make sure patients get the care they need wherever they are. Our care managers receive alerts for every hospital visit and work with the care team to help prevent lapses in care after discharge so the patient won’t need a return visit any time soon. The aim is easy access to the right information for optimal care coordination. We understand that schedules change and sometimes patients aren't able to make their regular dialysis appointments. That's why we are designing scheduling systems to facilitate backup dialysis and working with patients to reduce missed treatments. The aim is to have a dialysis slot available to every patient to avoid an unnecessary hospital visit. For select individuals, Northwest Kidney Care Alliance may ask community health workers to conduct a home visit, speak with the patient by phone and work with the ESCO care team to keep the patient out of the hospital if a visit there is not necessary. Our renal supportive care team includes a physician who is board-certified in palliative care and nephrology, as well as a dedicated nurse and social worker. They go to a patient’s home or dialysis clinic to consult on how to maximize quality of life. The team also helps patients do advance care planning to make sure their wishes are respected at the end of life. Our behavioral health partner organization trains our staff members so they can better support patients with mental health issues, and it serves as a resource when a patient is in crisis or needs individual therapy. The aim is to avoid behavioral or mental health safety events in the dialysis unit so everyone feels calm and safe. Our expert renal pharmacy staff members review patients’ medications to ensure they understand the proper amount and schedule, especially following a hospital stay. Our care manager facilitates information flow from the pharmacist to the patient, either in person, on the phone or via video chat. The aim is to have medication reconciliation after every hospital discharge. Being involved in our ESCO allows you to benefit from a comprehensive and personalized care program. Our team of doctors, nurses and other health care professionals collaborate and share information to provide care that suits your unique journey with kidney disease. Down the road, Medicare will analyze quality and cost data of patients treated through the Northwest Kidney Care Alliance. Periodically, we will report those results on this website. You will be able to see whether we have achieved our mission: better health, better health care, and reduced overall cost. The Northwest Kidney Care Alliance exists to find ways to help people live better with serious kidney disease—specifically by developing systems to collaborate and share information among a patient’s entire health care team, and then measuring the effects. We’ll report to the government how we’re doing on a regular schedule, and post the results here. If the Northwest Kidney Care Alliance meets its objectives as planned, Medicare will share with us some of the money we saved in overall health care expense. We’ll post results here starting in 2018, after the first performance year, so you can see how we’re doing. The amount of shared savings invested in infrastructure, redesigned care processes and other resources required to improve outcomes, and reduce Medicare costs for beneficiaries with serious kidney disease. The total amount of shared savings distributed as shared savings payments. Number of Medicare beneficiaries treated by Northwest Kidney Care Alliance. All content of this website Copyright 2017-2018 Northwest Kidney Care Alliance and/or its participating publications.